Just Not a Landing Page Builder….But The Only Complete Real Estate Landing Page SOLUTION! 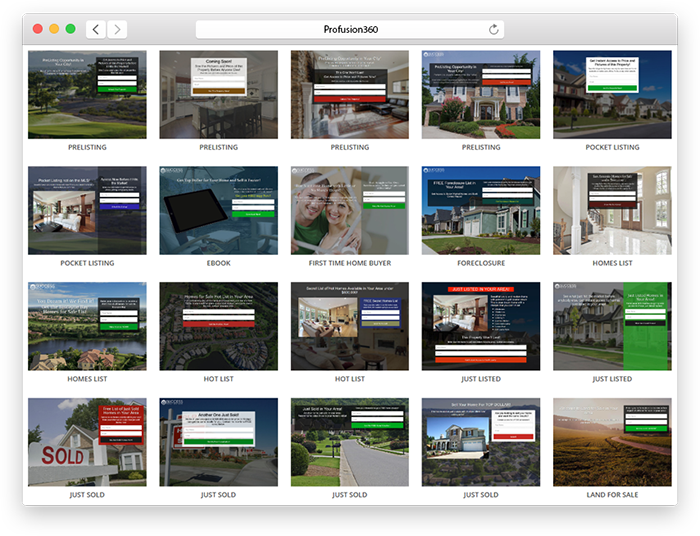 What makes Profusion360’s real estate landings pages the absolute best? 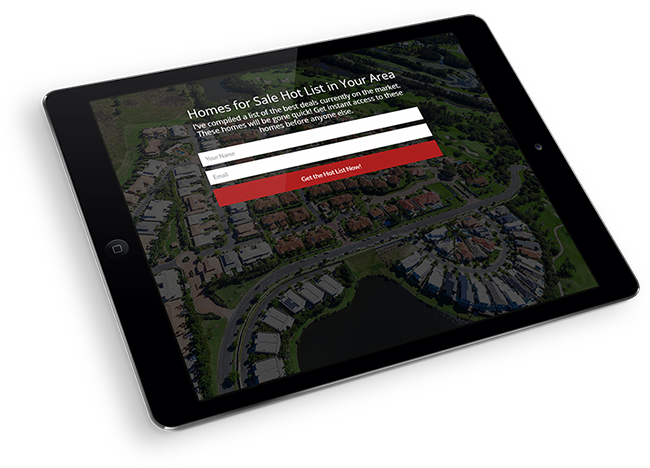 We offer a complete lead generating landing page solution for real estate agents. Other services only offer the design aspect of your real estate landing pages which is actually only a fraction of the complete solution required to generate leads. Profusion360 offers the complete solution from design to lead nurturing. With our real estate landing page platform, your landing page page designs are “Done for You”. 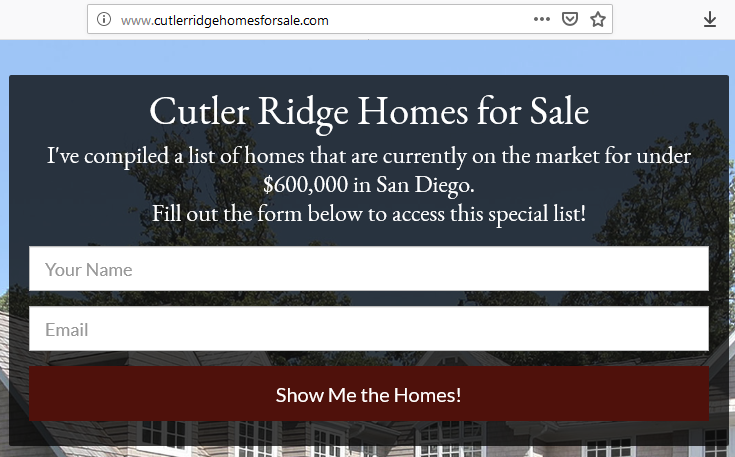 With seamless integration to our IDX and property websites, you’ll be able to easily create and define effective lead magnets for your real estate landing pages that will generate you more leads. Our very own CRM system will capture all your leads allowing you to utilize our lead management tools and drip email campaigns. And because everything is built on our all-in-one marketing platform, our real estate landing pages are integrated with your agent website. At Profusion360, we are always looking for ways for real estate agents and professionals to generate more leads. With our real estate landing pages, you’ll create another channel of lead generation that will give you a flow of leads to build your real estate business. We know you don’t have hours to spend on designing your real estate landing pages. That is why we have put in all the work for you to deliver you a landing page product that is like no other. What makes our real estate landing pages different is that they are designed specifically for real estate professionals and they are DONE FOR YOU. You no longer have to spend hours creating and designing your real estate landing pages. We aren’t just giving you a landing page builder, we are delivering you a solution. Profusion360 has designed and put together the most effective landing pages for real estate agents and professionals. Whether you want create a real estate landing page to market a hot list, pocket listing, pre-listing, foreclosures, land for sale, new construction, investment properties, or an eBook, all you need to do is click on the landing page you want to use and our system will generate the landing page for you instantly. This will save you hours of time allowing you to start using your real estate landing pages immediately to generate leads. Our real estate landing pages include a Comparative Market Analysis (CMA) landing page that will generate you more seller leads. 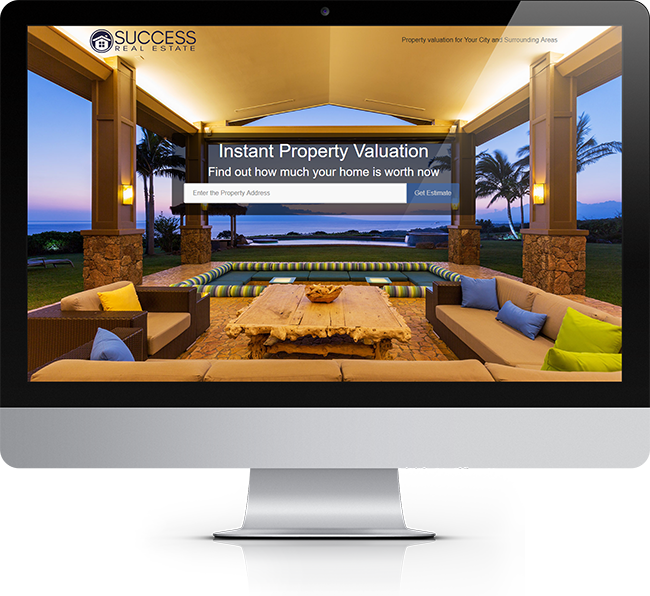 Our CMA landing page will give the user an instant property valuation including high and low estimates and 30 day change. The valuation report along with the user’s contact information is captured within our very own CRM system. Our CMA landing page is the easiest and quickest method to generate seller leads. This means more listings for you! Like all of our products, our real estate landing pages are built on our all-in-one, integrated marketing platform. 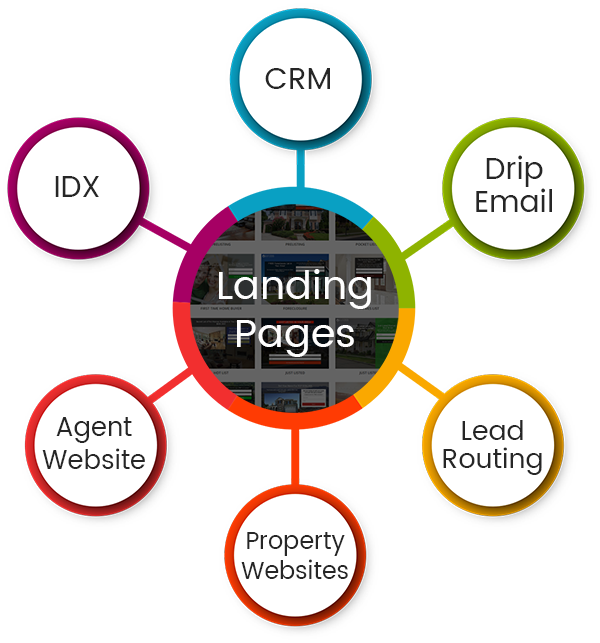 This means our landing pages work seamlessly with your website, IDX, property website, CRM system, and more. You no longer need to purchase and put together separate systems to complete your landing page solution. Profusion360 offers the complete real estate landing page solution on a single integrated platform enabling you to deploy your landing pages quickly. With everything working together flawlessly, you’ll have the perfect real estate landing page platform that will enable you generate an abundance of leads and nurture them to closing. 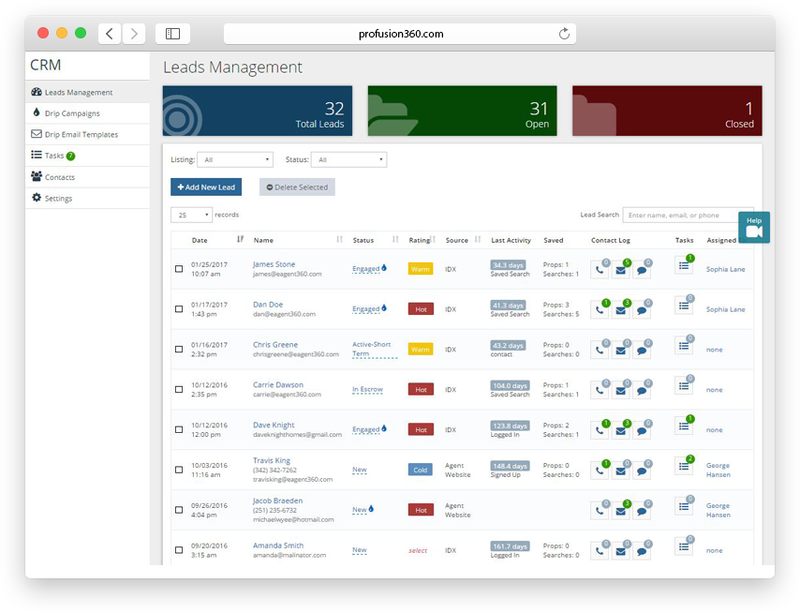 Your leads generated from all your real estate landing pages will be captured instantly by our very own CRM system where you can fully manage your leads including lead routing, lead status and rating, tasks, notes, and more. With our drip email marketing, you can have your generated leads automatically go into one of your drip email campaigns. This will allow you to nurture your leads and build your sales pipeline. Quickly and easily generate leads for your listings using our ‘Just Listed’ landing page creator. In just one-click, our real estate landing page platform will create a complete landing page for your listing. It’s completely done for you including photo, property description, and lead capturing form. Since our landing pages are built on our integrated marketing platform, leads are directed to the property website that is automatically created for you, and leads are captured and nurtured in our CRM system. Unlike other landing page services that place your landing pages on their domain, all of your Profusion360 real estate landing pages will exist on the custom domain of your real estate website. You can also choose to use a custom domain for each of your landing pages making them completely separate websites. 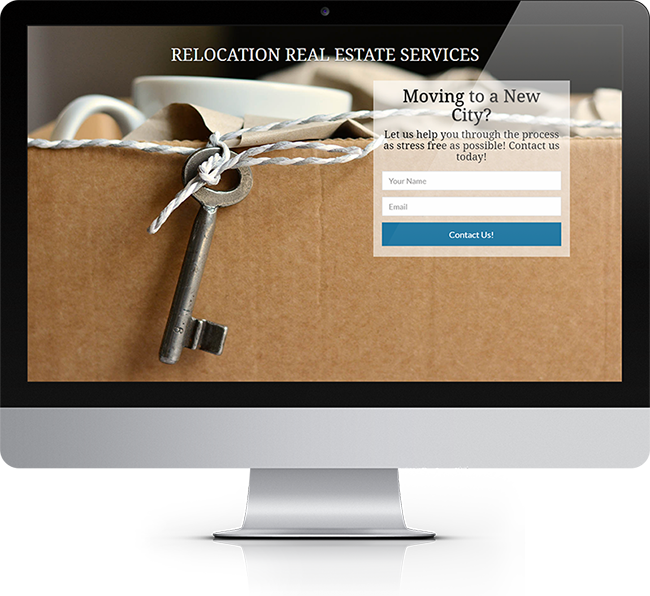 We give you the flexibility with your real estate landing pages. It’s all up to you on how you want to market and use them. 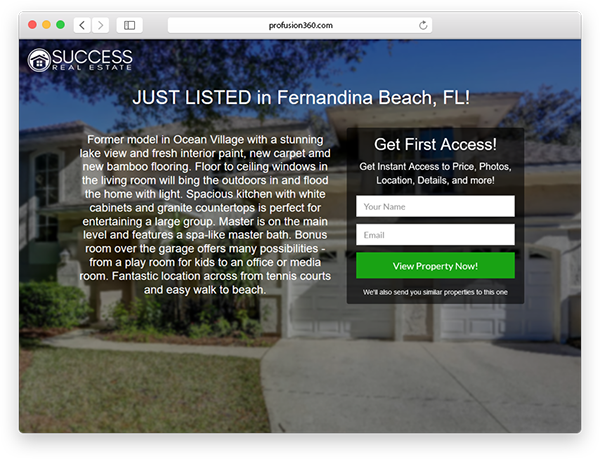 Real estate landing pages are an effective method for lead generation on social media. 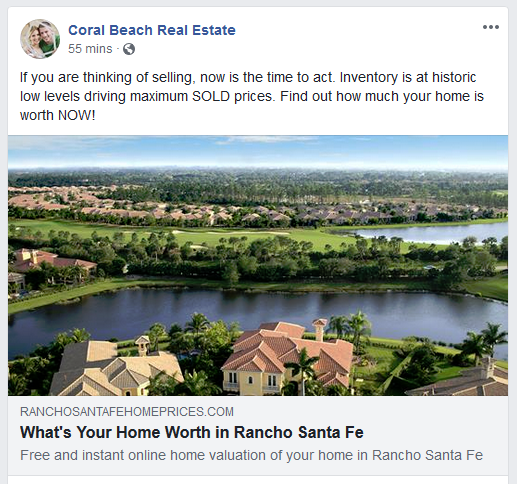 Promote home valuations and homes lists on Facebook and utilize the landing pages to capture leads. Step it up by using Facebook Ads to target specific audiences. Turn your Facebook page into a lead generation machine. Create custom Facebook tabs on your Facebook page to promote all of your landing pages. You’ll be generating and capturing leads right from your Facebook page. Although the real estate landing pages are designed for you, you are able to fully customize them by using our interactive landing page builder. Apply your own styling by changing the background image, font, colors, and more. Easily customize the content by inserting text, uploading images, or embed video. The design and look of your real estate landing pages can be the deciding factor if your landing pages are converting or not. That is why each one of our real estate landing pages are carefully designed to be professional, attractive, and effective. 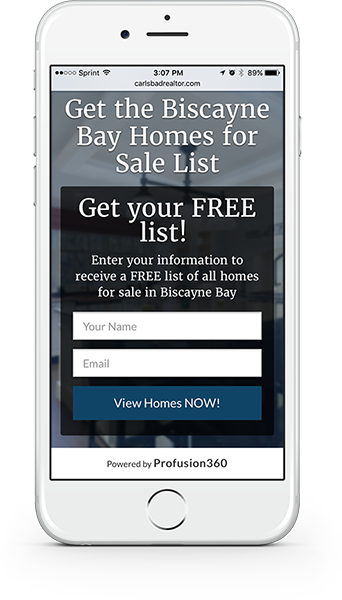 More importantly, our real estate landing pages are mobile-friendly and are easily viewable on any mobile device. If you are utilizing landing pages on Facebook or other social media sites, you can rest assured that your landing pages are effective for users viewing them on a mobile phone. Get Our Real Estate Landing Pages and Start Generating More Leads Today!